MUBI has recently included several films by the Chinese auteur Lou Ye as part of its rolling monthly programme. They titled their mini-season of Lou’s films ‘Freedom and Defiance: The Cinema of Lou Ye’. Lou Ye (born 1965) made his first features in China in 1994 and 1995, but it was not until 2000 that he became well-known internationally through the screenings of Suzhou River at international festivals. Suzhou River got a UK release and I used it for a couple of education events associated with ideas about New Wave cinema in China. I think only one of Lou’s subsequent films has even managed even a DVD release in the UK. Suzhou River gained attention for three reasons I think. First it appeared to be a deliberate attempt to ‘play’ with the narrative ideas of Hitchcock’s Vertigo (US 1957). Second, it did so using a subjective camera and other distinctive aesthetic choices and thirdly its presentation of Shanghai as a modern ‘global city’, coupled with the first two points, led to it being seen as a good example of a ‘postmodern’ film at a time when ‘postmodernity’ as a concept was fashionable. Lou Ye found himself in 2000 being described as a ‘Sixth Generation’ Chinese director, something which he resisted. The label has to some extent stuck though it has now dropped out of discussions about contemporary Chinese art cinema. In 2000 it generally described a group of younger Chinese ‘independent’ filmmakers, born after the Cultural Revolution who sought to make low-budget films rather than progress through work with the major state-controlled studios. Co-productions with France, Japan etc. were not uncommon as were links to TV, popular music and other ‘non-cinematic’ institutions. 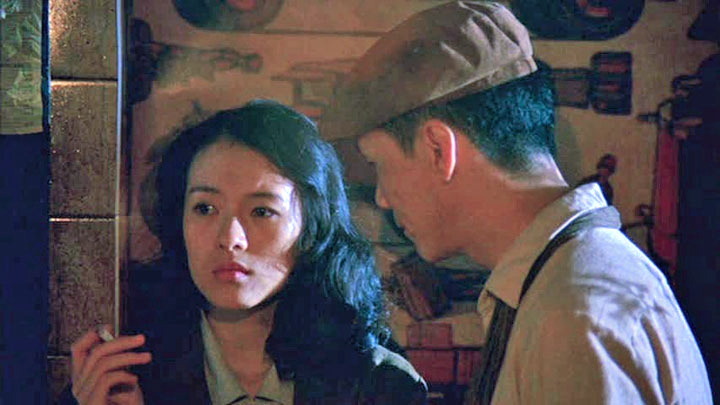 MUBI’s reference to ‘Freedom and Defiance’ was prompted mainly by Lou’s 2006 film Summer Palace which confronts questions about the Tiananmen Square protests of 1989 and led to a Chinese ban on Lou’s films for 5 years. 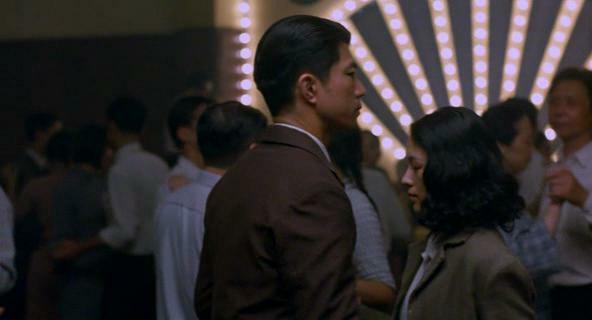 Purple Butterfly is in some ways a companion piece to Suzhou River, again a film about a Shanghai romance with strong hints of film noir and a complex narrative structure. The film starts in Manchuria in 1928 where there is already a significant Japanese presence following victory in the Japanese-Russian War of 1895 and the subsequent control over the Southern Railway. Japan had also annexed Korea, bordering Manchuria to the east. Zhang Ziyi plays Hui Ding, a young Han Chinese working in a bookshop and learning Japanese. She has fallen in love with Itami Hidehiko (Nakamura Tôru) an older Japanese man and the couple spend blissful hours together, seemingly oblivious of the gathering tension in Manchuria. But eventually Itami is recalled to Japan. The narrative jumps forward to 1930 and the similarly febrile atmosphere of Shanghai, the ‘global city’, a trading port where the Western nations have ‘concessions’. In the next few months Japan will fully invade Manchuria and prepare for invasion of the rest of China. In the meantime, Shanghai is awash with secret agents and resistance groups of various kinds. A young Chinese couple meeting at the railway station are mistaken for another couple and are attacked because they are believed to be carrying secret documents. The young woman (played by Li Bingbing) is killed but her partner Szeto (Ye Liu) survives and begins a search for vengeance. Hui Ding (aka ‘Cynthia’) is now in Shanghai as a member of a secret Chinese resistance group ‘Purple Butterfly’ and it won’t be long before Itami arrives in Shanghai as a Japanese secret agent. Given the relatively simple plot this is a surprisingly long film (128 mins) with some sharp bursts of violence as the agents of the Japanese and Chinese clash. But it is also languorous in dealing with the personal relationships and uses flashbacks, forcing the audience to piece together their understanding of the narrative flow. The big question is will Ding and Hidehiko get together again? If they do, will love triumph over commitment and patriotism? And how will Szeto view Purple Butterfly – which may have been responsible for his girlfriend’s death? I found the film to be less successful than Suzhou River in fully engaging my attention and I was surprised by this as the background for the romance interests me a great deal. It may be that, as a film drawing heavily on film noir and stories of treachery and deceit, it fails to offer all the genre pleasures inherent in such narratives. Lou seems more interested in the look and ‘feel’ of Shanghai in the thirties than in the narrative events themselves. Ironically he ends the film with newsreel footage from the full-scale Sino-Japanese War that developed after these initial skirmishes – as if he had a wider perspective all along. Perhaps I was spoiled by my relatively recent experience of watching The Age of Shadows (South Korea 2016) a genuine ‘resistance thriller’ by Kim Jee-woon set in Seoul in the 1920s? That film didn’t have the same level of intense ‘romance’ but it offered much more beautifully choreographed action. However, I don’t want to ignore Lou Ye’s beautiful evocation of Shanghai in 1930 or the strong central performances. Cinematographer Wang Yu (associated with Jia Zhang-ke and Ann Hui among others) offers us many close-ups in scenes with shallow focus and creates a real sense of the crowded streets of night-time Shanghai. I wanted to watch more of the MUBI season, but as is often the case, I couldn’t find the time to complete my viewings of two other films before they disappeared.